This is really going to be a big blow to those using Airtel Bis . Close to the end of last year Airtel gave us an alert that they intend to stop their bis from working on non blackberry devices, but since then its still been working so no one took them serious. 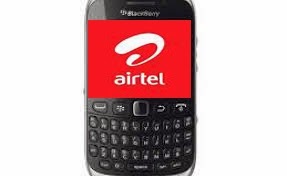 News reaching me yesterday states that Airtel have stopped their bis from working on non blackberry devices, although those who have subscribed earlier and have their plan is still running can still make use of it. But new subscribes wont be able to connect on a non blackberry device (Android, pc users, ipad) . I will try to find out more and update you all. Thnks peter hope it will work so? Peter can u please explain better because i wanted to subscribe for the 2gb plan which is 1500 please how will i do it that my money won't be a waste. Peter pls explain better so we don't waste our cash. Abeg we need more ppl to confirm b4 we waste our money oo..these days cash hard o. Mine has not connected on PC since today, is anyone experiencing such?? U fit use that MTN stuff for daytime? UPDATE: You all can still subscribe and use the Airtel bis on a non bb device it has been confirmed working by more than 3 users. But if after subscribing you can't still use it, then subscribe for the 10mb plan with this code *141*11*1# and it will wrk. Gerry how can I do that? U re welcome Moses and thank you too 4 making out time to comment. 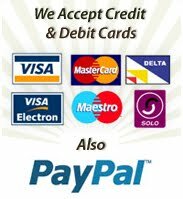 Airtel new subscription message: Your Airtel BB Unlimited plan is active. Re-insert your battery.This plan is for BB devices only.Experience and charging may differ in case of other devices. After your new subscription if you dial *123*10# you will be told you have 0.00MB, if you dial *141*11*0# you will be told you do not have an active data plan. I think for every 1MB consumed on non-BB devices you will be charged 1.5MB. Anonymous thnks for the info too, will make a post on that.